Nelsons Homeopathic Pharmacy is a well established homeopathic pharmacy business which sells a wide range of high quality homeopathic products and remedies for your wellbeing. This site is operated by Nelson Pharmacies Limited. We are registered in England and Wales under company number 1698162 and with our registered office at Nelsons House, 83 Parkside, Wimbledon, London SW19 5LP. Our main trading address is 87D Duke Street, Grosvenor Square, Mayfair, London W1K 5PQ. We are regulated by the General Pharmaceutical Council. 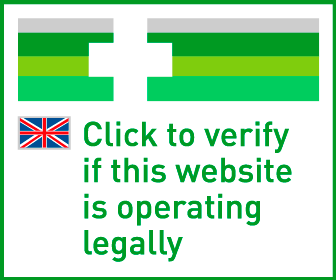 2.3 When using our site, you must comply with the provisions of our acceptable use policy. 3.1 PLEASE NOTE:The information on our site is NOT intended to be relied upon by you in making (or refraining from making) any decisions regarding your health or wellbeing and we strongly recommended that you consult your General Practitioner or a professional medical advisor if you are unsure how this information or our Products will affect your health or you feel any ill affects from using our Products. Bach, Bach Flower Remedies, Bach Original Flower Remedies; the Bach signature; Nelsons, the Nelsons ellipse, Rescue Remedy, Rescue, Nelsons Homeopathic Pharmacy logo and brand design; Dr Bach photograph; product liveries and trade dress are our logos and or our registered or unregistered trademarks and trade names, any other logos or devices used on our site are trademarks and or trade names of our associates and partners. You may not use these devices, names or logos without the consent of the owner. 8.4 If you see any information on a bulletin board which breaches yours or anyone else’s rights or may be illegal, defamatory or otherwise should be removed, let us know immediately and, where we agree, we shall do our best to remove it as soon as possible. 10.2.1 Not to reproduce, duplicate copy or re-sell any part of our site in contravention of the provisions of our terms of website use. 10.11.10 Be threatening, abuse or invade another’s privacy, or cause annoyance, inconvenience or needless anxiety.